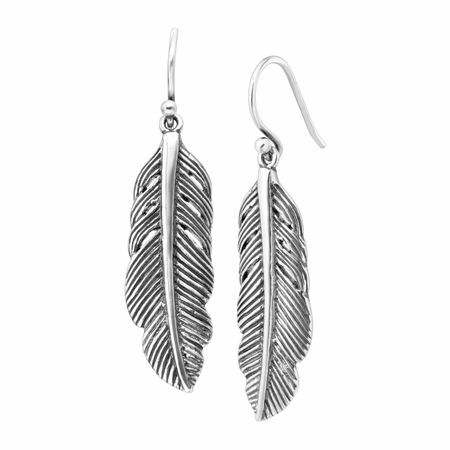 Nature-inspired design meets the beauty of etched sterling silver in the Etched Feather Earrings. From a southwestern top to a bright white shirt dress, this bohemian pair is the perfect finishing touch. Earrings measure 2 1/8 by 3/4 inches and feature ear wire back findings. Pieces come with “.925” sterling silver quality stamps as symbols of guaranteed product quality.